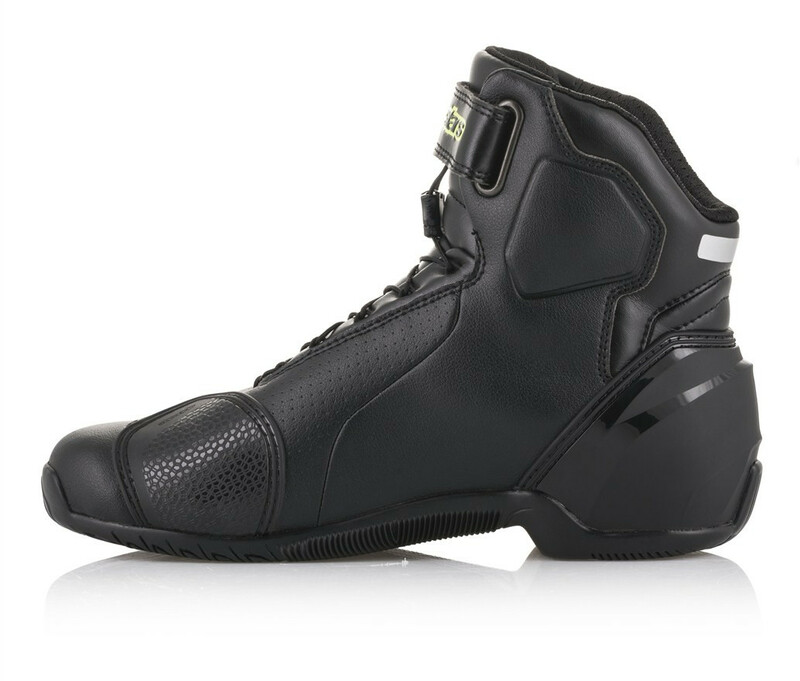 An aggressively profiled road riding boot, the SP-1 V2 Shoe is constructed from a superbly lightweight microfiber and incorporates class-leading protective features. 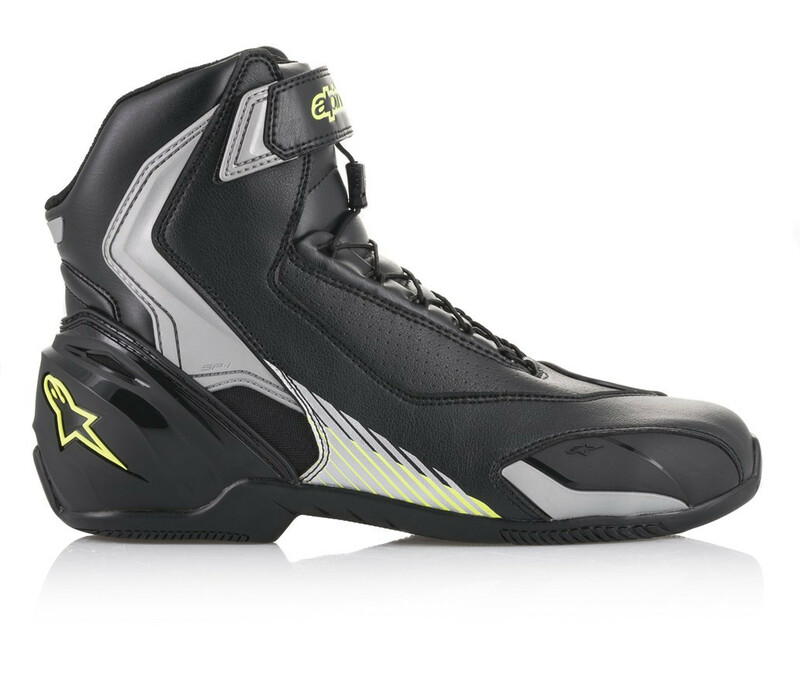 With a full textile lining and padding throughout this boot is extremely comfortable, while a new lateral air vent improves interior ventilation. The SP-1 V2 features an exclusive compound rubber sole to provide excellent levels of grip whatever the weather, for the ultimate in precision control. 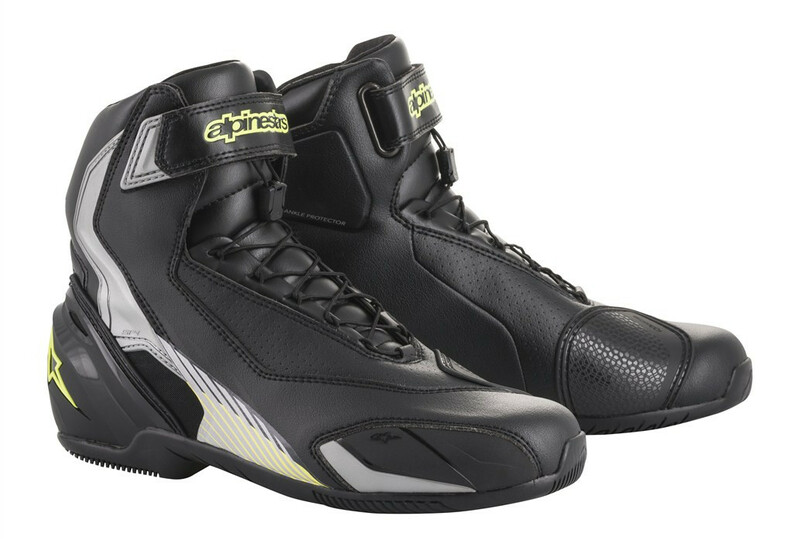 • The main upper is constructed from a superbly lightweight, durable and abrasion-resistance microfiber with front (tongue) and rear accordion zones support and comfort. 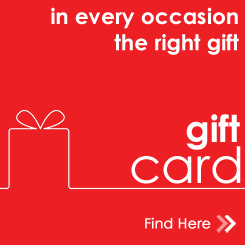 • Tongue and rear accordion made by lightweight padded material that offer superior comfort. 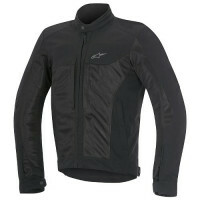 • Improved levels of airflow and inner ventilation provided by lateral air Intake with metallic mesh. 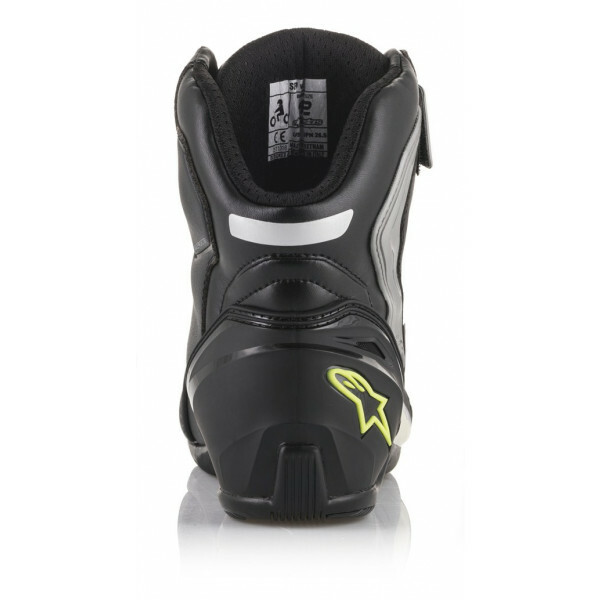 • Higher closure system with new adjustable hook-and loop closure and debossed Alpinestars logo. 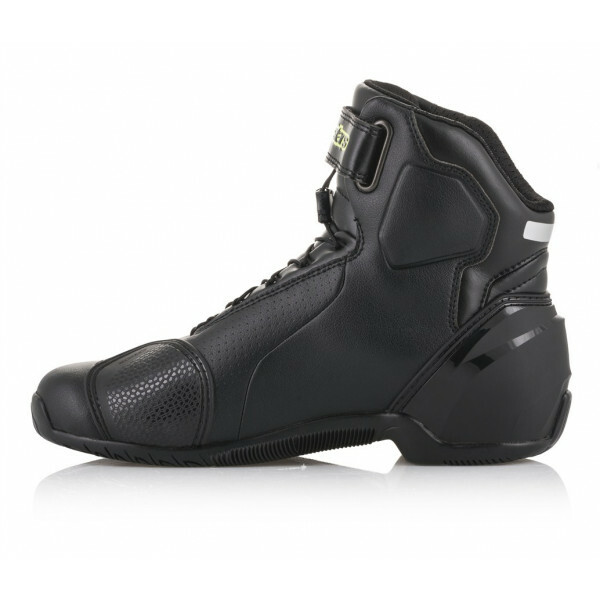 • Foam backed double density ankles disk protection are mounted under the upper plus lateral outer TPR guards provide all-round strategic protection and flexibility in keys area. 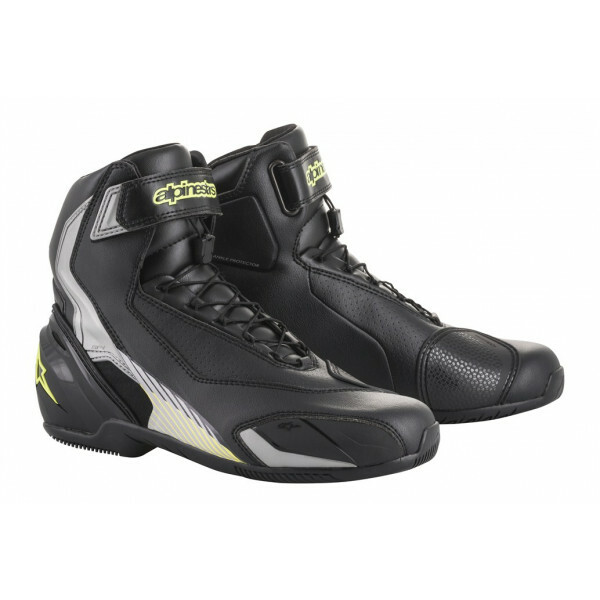 • External TPR toe reinforcement helps protect against abrasion and gives greater stability. 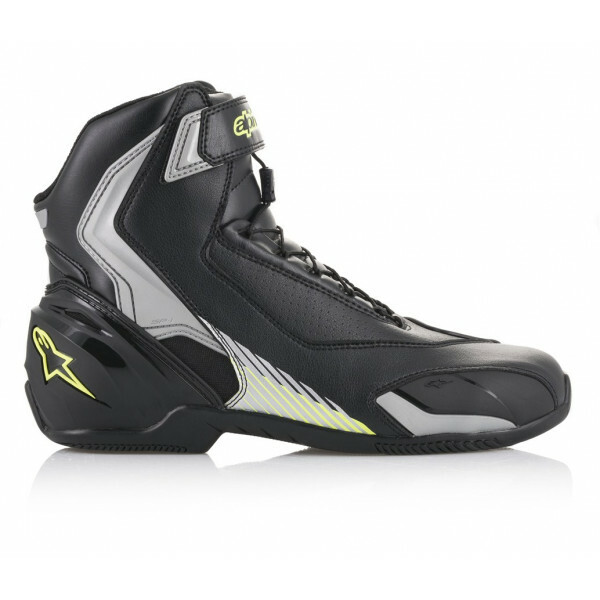 • External, high modulus TPU heel counter for improved shock protection and durability. 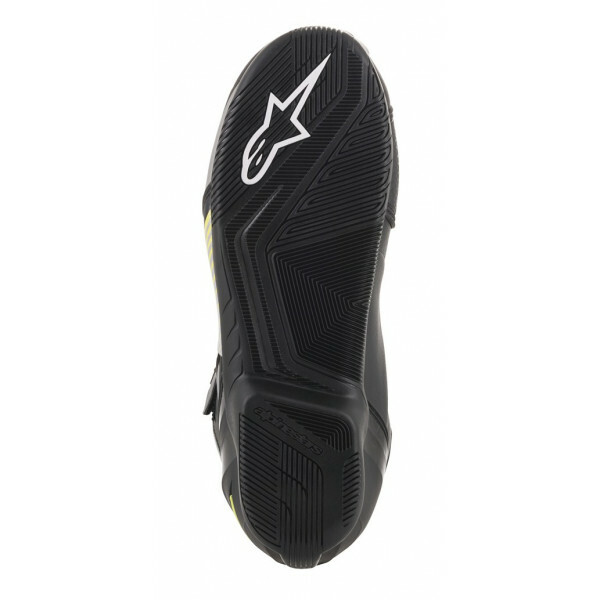 • Internal toe box reinforcement layered under the microfiber upper for durability, improved feel and performance. 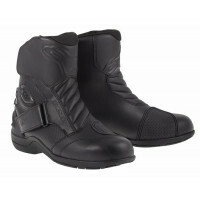 • Breathable textile lining with anti-sliding microfiber suede on the heel area helps keep foot in position while riding. • Welded reflective insert on rear improves night time visibility. 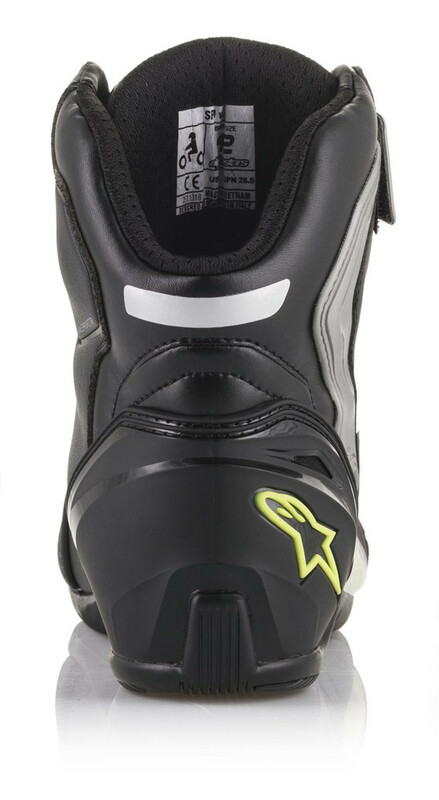 • The SP-1 v2 Shoe is Cat 2 CE certified to 89/686/ECC EU directive.